Tweet I loved Rihanna. Then I was iffy. Now that she's got her long red hair and her confidence back, I love her again. 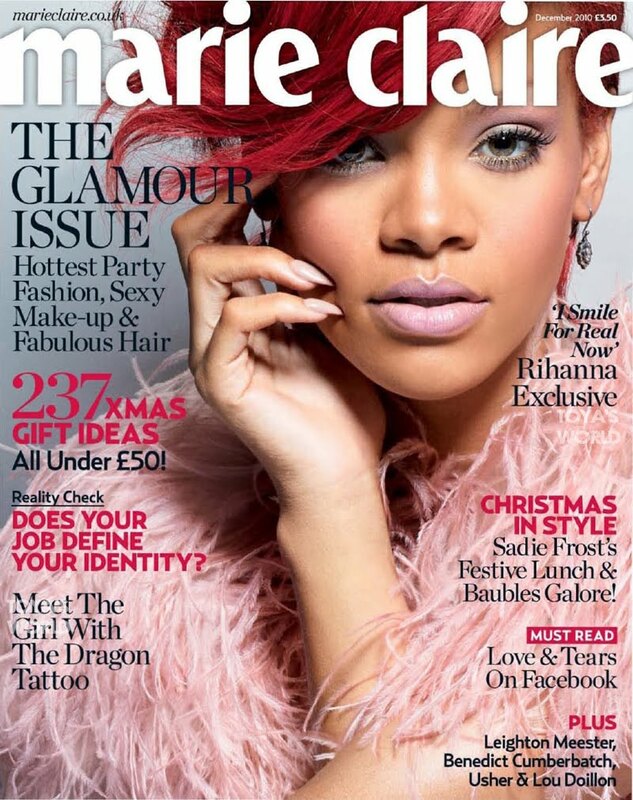 I love her even more on the cover of December's Marie Claire. She looks SMOKIN' HOTT! Oh my goodness. The Rihanna I know and love pre-Chris Brown is BACK ladies and gents... Just in time for her new album, LOUD, which is supposed to be released in November and have songs with Drake, Eminem, and Nicki Minaj. That red hair is something special. I wish I could pull it off!